First, let’s talk about what you won’t need. You won’t need a bunch of extra cash to cover things like overhead for an office full of employees, unnecessarily extravagant rent space, or third party billing or pharmacy services. You won’t need to apologize to your friends and family for spending all your spare time on paperwork because you’ll be spending your spare time how you want. Direct Care allows you to get the most out of your money. The best part about this model is that your patients benefit from those savings, too. Because you do your job well, you allow them to receive incredibly quality healthcare at an affordable price – without the hassle of insurance. So let’s get right down to it. What equipment do you need to purchase to start a Direct Care practice? You’ve likely got a plethora of machines and equipment strewn about your current practice if you’re transitioning. The machines might vary if you’re a specialist, but if you’re a family doctor you’ve obviously got thermometers, Sphygmomanometer, Electrocardiogram, etc. But what do you actually need to practice Direct Care? In actuality, you can start with little more than a stethoscope and your phone. So once you have a space figured out, you’ll need some equipment. Most doctors believe they have to have a lot of it to start practicing Direct Care. But that’s not the case. Again, it will vary for each doctor, but here’s a list of the prices for the most common devices. Some equipment, like EKG machines, autoclaves, electrocautery machines, sleep apnea test machines, and vitals machines range from $3-$5,000. Adding that all up you’d need somewhere in the range of $10-20K. Doctors don’t anticipate this next need, though, and that’s an automatic pill counter. It’s vital if you’re going to dispense medications from your office. The Hispac III Pill Counter we use typically runs about $2,500. Usually doctors feel this is an unnecessary expense, and it’s not viable to practicing Direct Care. However, we can count 180 pills in maybe 20 seconds using the machine versus several minutes counting by hand. The fact is, you might need to dispense 60-70 prescriptions a day so that adds up to a couple hours of extra work doing a menial task. The goal during this process is to minimize wasted time and keep overhead low. And since hiring a pharmacist or extra practitioner is ridiculous, we recommend the machine. Yes, the costs do add up, as is the case with any business venture. You’ll need to invest in several different Dymo Label Printers for prescription bottle labels, shipping labels, paper prescriptions, etc. These are specialized but aren’t any more expensive than a personalized office printer, around $100 each. Then you’ll want dedicated computers, iPhones, iPads, etc. depending on your preference. Don’t forget an all-inclusive printer/scanner/fax device. We mentioned at the start of the article about the actual leasing being a serious investment. Don’t forget one last thing: the actual furnishing of your office space. This will include shelving, storage space, miscellaneous office equipment, kitchenware, etc. You’ll also need to spend some time from your patient’s perspective. How can you make the experience as enjoyable as possible? How many people will you see a day? How many couches do you need? Are you expecting children? What type of environment are you cultivating—something more upbeat and active, or quiet and introspective? Again, lots of decisions here. But leave yourself a budget to make your practice inviting. Again, everything we discussed is contingent on the ethos of your practice, the type of clientele you seek to bring in and myriad factors. But always remember you are in control here. And yes, we’re admirable of your ambition, but being as we’re looking to get you out of insurance and bureaucratic traps, we encourage you to be realistic about your investment. There’s no need to find yourself in a credit trap. Get working, start making revenue, and take it from there. 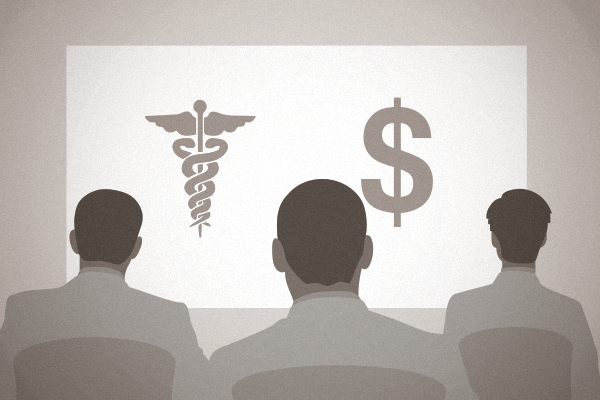 Overcome the financial barriers to opening a private practice. This Atlas MD Podcast talks all about the cost associated with Direct Care. Transitioning? These cost thoughts are just for you. How Much Money Does a DPC Doc Make? Now you have an idea what it costs to start a Direct Care practice. The costs are similar if you’re transitioning from a traditional practice. You already know each and every penny you invest in your clinic is for the sole purpose of being able to offer your patients personalized, proactive, amazing care. So let’s take a closer look at the technology you’ll need to run a smooth practice.